New Brunswick is set to double the number of Mercedes-Benz dealerships in its borders by this time next year. TriStar Mercedes-Benz, which has been located in Saint John since the late 1950s, is opening a satellite sales and service location in Dieppe, just outside of Moncton. TriStar owner, Ian Brett, says that because the dealership currently serves customers from across the whole province, now is a great time to be opening the Moncton location. 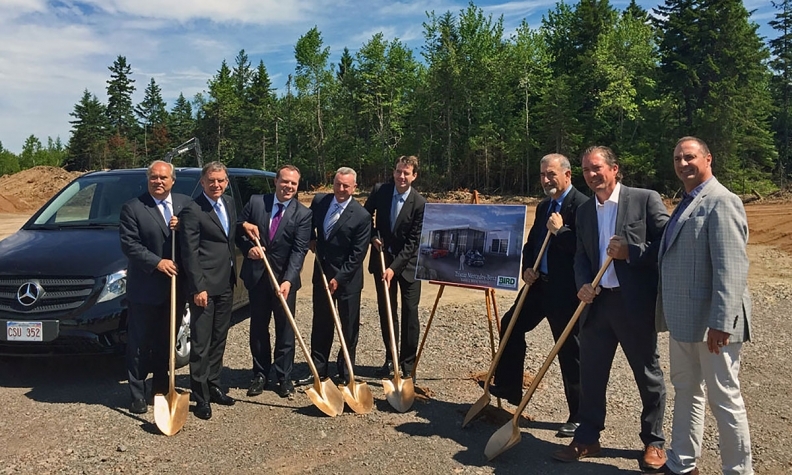 Ground was recently broken on the new facility, which will be located on Aviation Avenue in Dieppe, near the Moncton airport. The building will be nearly 11,500 square-feet, including eight service bays, and its design will fall in line with Mercedes-Benz’ Autohaus identity. On the retail side, it will offer Mercedes-Benz, AMG and Smart brands. Construction is expected to finish in spring 2017. Brett has owned TriStar since 2011 after buying it from his father, who had originally bought it in 2004. He also owns a full-line General Motors dealership, along with Fundy Honda and Saint John Nissan. “I’m delighted that Mercedes-Benz has chosen Dieppe for this key development in their retail network,” said Ernest Thibodeau, deputy mayor of Dieppe. “Ours region has seen incredible growth in recent years, rapidly becoming a bustling hub for retail, industry and culture,” he said. “Mercedes-Benz is a fantastic addition to Dieppe’s (retail) offerings, and will join other influential brands in this strategically important location,” said Thibodeau.